You will definitely get to know more about me when you read My Story and My Loves. 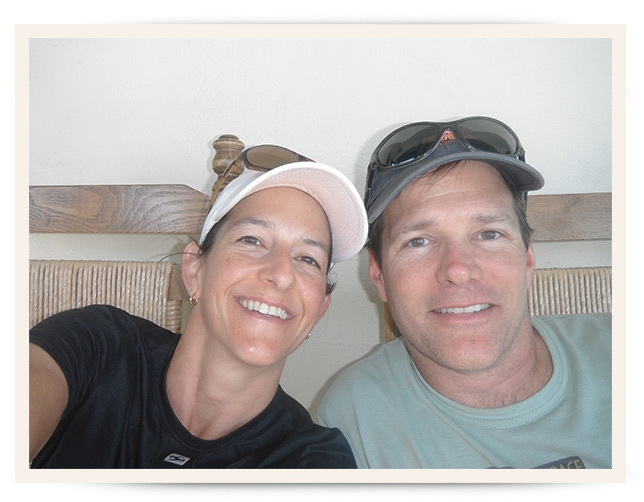 Here is personal background information with some fun pictures for your entertainment! I am the youngest of three with two brothers. Here we are when I was two months old. You can’t see the bow in my hair from this angle. The bow is taped to my head because I don’t have enough hair! 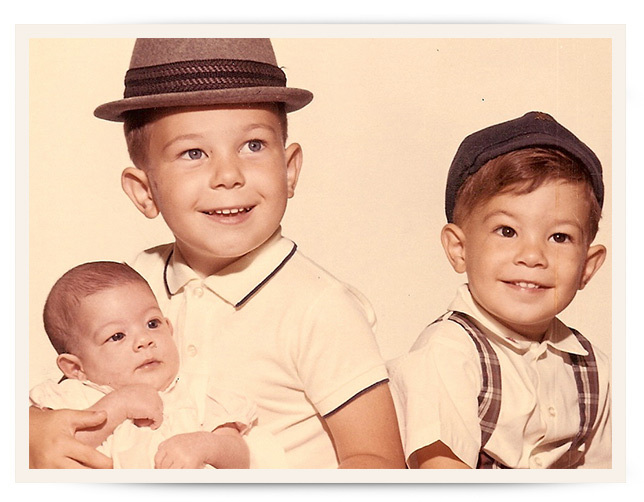 My oldest brother, John, is holding me and my other brother is Doug. We look cute at that young and innocent age! 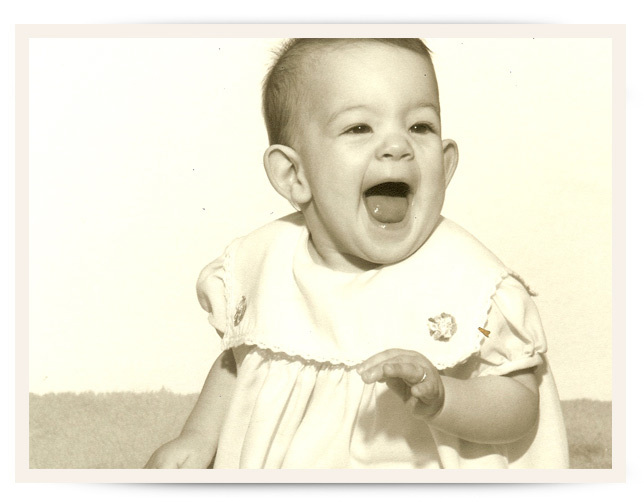 Yes, this is me at eight months old. I love this picture! Some of the clothes that I wore as a baby, including this dress, ended up being clothes for my dolls.Yes, they were large on my dolls. And the bow is probably still taped to my head. My parents are both one of ten so I have lots of Aunts, Uncles, and Cousins. My family moved to Arizona when I was seven, so most people say I am a native. I was born in Ohio and remember enough to know that I don’t want to live in the snow. That is what Flagstaff is for! 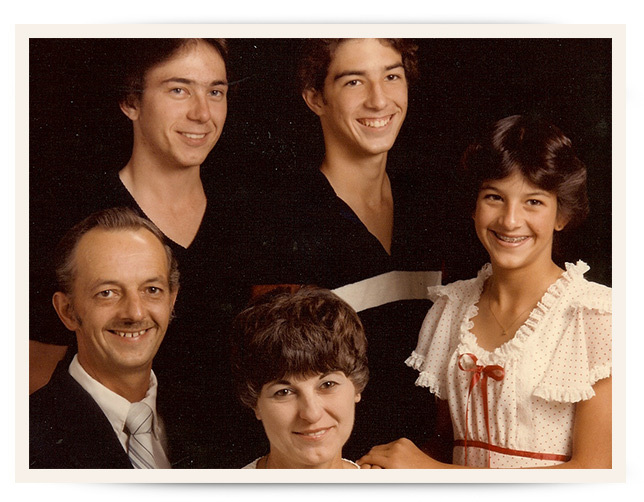 This family picture was taken in 1982 and is the last one taken before my brothers joined the Navy in 1985. 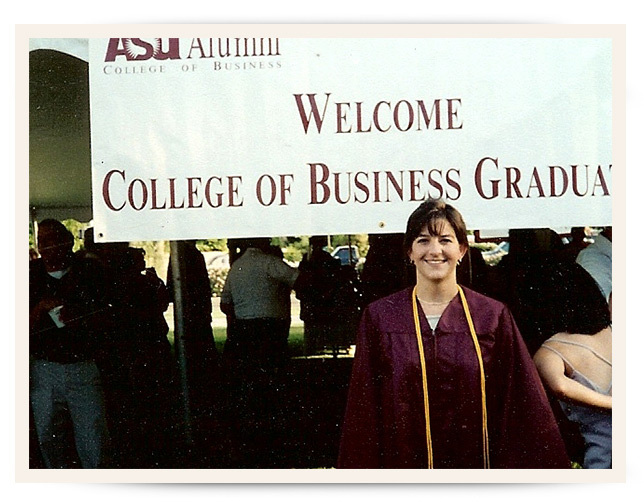 I was on the long-term college plan, graduating from ASU in 1997 with dual bachelor degrees in Accounting and Computer Information Systems. I obtained my CPA license in 1999. Greg and I met through work. I was working at a CPA firm and he was working for one of our clients. We became friends and eventually started dating. We dated for six years and got married in 1999. At this time, we have no pets. 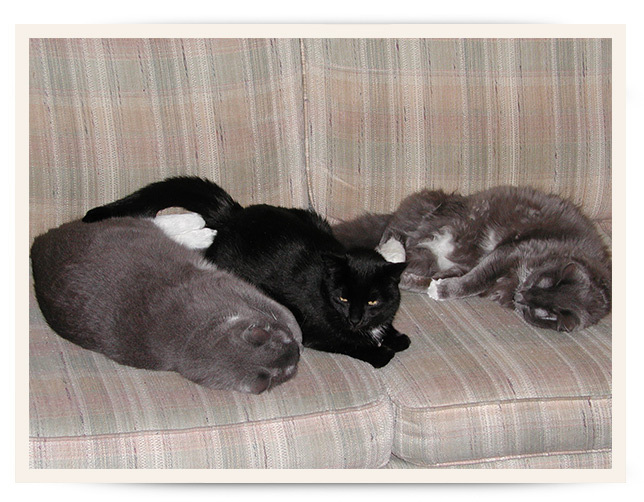 When we met, Greg had three cats and I had two so it was very interesting bringing them together. Our oldest cat lived to be almost 20 years old. While we loved our cats, we enjoy being pet-free right now.